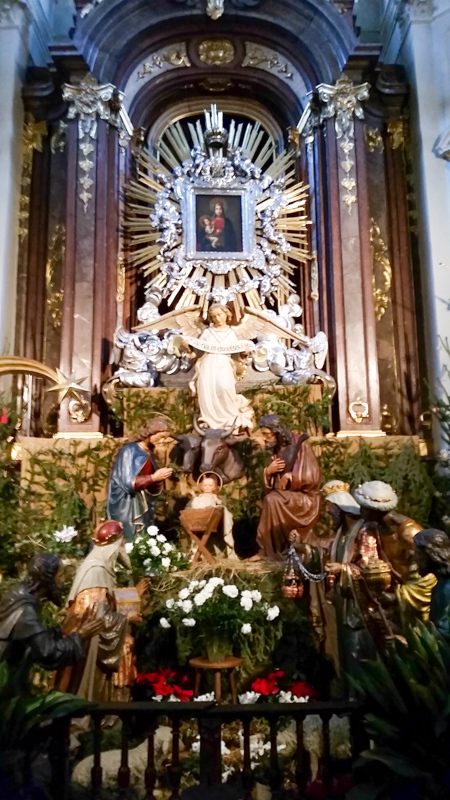 Creche, at Capuchin Church in Vienna, Austria. Come and worship with us at 11 am Mass on Sunday, December 20, 2015 ~ at Sacred Heart Catholic Church in Norfolk, Virginia, Princess Ann Road at Upper Stockley Gardens. Mary full of grace, The Lord is with You. et vocabitur nomen ejus Emmanuel, alleluia. Be merciful to us sinners. This entry was posted in Sacred Heart Parish and tagged Catholic, Norfolk Virginia, Sacred Heart Parish on December 19, 2015 by frjfkauffmann.